The International Centre's innovative and award-winning culinary team serves up gustatory excellence — exactly when you ask for it. Enjoy cuisine that’s designed to delight any palate and accommodate all special requirements. Tasting is believing. 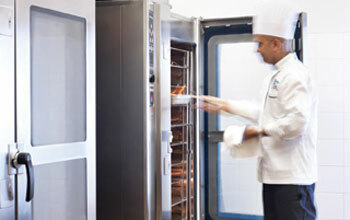 Our modern, state-of-the-art kitchen is fully adaptable, servicing stations throughout the Centre. So regardless of its size or location, your event is ensured food delivery with just-in-time freshness. We appoint a dedicated Events Manager to each event providing personalized service and an overall successful experience. Whether it's coffee and pastries for six or an opulent dinner service for thousands, our team covers all the details, from menu development to décor co-ordination, events management, and special equipment rentals. So relax and enjoy! Leading The International Centre’s exceptional culinary team, Chef Shehata ensures that our clients and guests experience The International Centre’s hospitality and culinary excellence while adding his own unique flare. 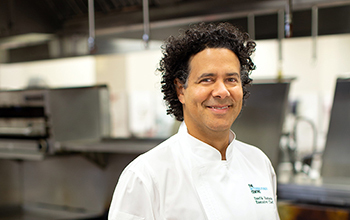 Chef Shehata brings nearly 20 years of professional culinary experience to his role at The International Centre. He acquired his broad and distinctive culinary experience at many of the world's finest establishments including Winston’s, Scaramouche, Auberge du Pommier, Boba and Truffles at The Four Seasons. Welcome to the latest in kitchen tech and eco-friendly practices. These, and our innovative kitchen team, ensure optimum quality and presentation perfection. And we do mean welcome! The International Centre offers you our exclusive Chef’s Table, a culinary theatre in the heart of our kitchen. Here you will meet our Executive Chef Tawfik Shehata and enjoy an exclusive culinary experience in a uniquely appointed dining room set within our state-of-the-art kitchen. Think of it as a taste of things to come for all your guests. Great Events deserve Great Food and no one does it better than our on-site team. 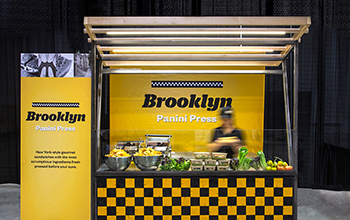 Our retail team has created a variety of show stopping food options that are sure to enhance your next trade or consumer show. From scrumptious grill items to live chef stations representing worldly flavours; a tantalizing meal awaits every palate. Inquire about adding a “To-Go” mini version of our Craft Eatery for your busy event floor. Want to have a delicious and quick sit down meal? 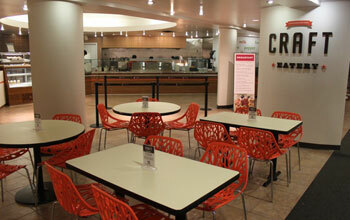 Visit The International Centre permanent restaurant, the Craft Eatery. Located beside Hall 1 is Craft Eatery. This permanent restaurant offers daily specials and cooked-to-order cuisine all made with a fresh and exciting twist. 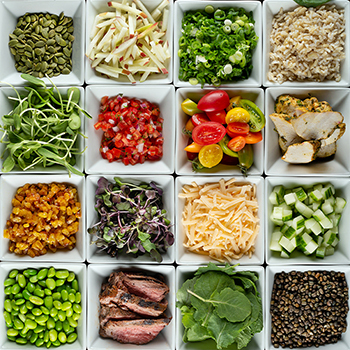 Our award-winning team of culinary professionals choose only the finest ingredients – local and in-season, whenever possible. It’s all done in a modern and comfortable lounge setting with complimentary WiFi!